Marathons are staged practically in any major world city at the moment. You have the "main" marathon races such as the real international marathon races ; New York marathon, Berlin Marathon, Boston Marathon that you can read about in the separate sections (see navigation bar to the left). Then you have a number of local races/smaller that are great for marathoning as a start or local experience. Who better to ask for an opinion on this than the ones that have already participated ? This is also the major page for letting your voice be heard/read what others have said about a particular marathon. The link right below here will take you to the bottom of this page and to those reviews..
Click here to share a review, of your favorite marathon story, with visitors to this page! This is a guide to those other marathons that are not listed on the front page. 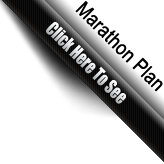 You will also see a marathon calendar coming up here, for you to carefully and easily plan your future marathon or half marathon event. You will see a number of main marathons being added here, that you can target your marathon training/marathon running towards. In addition to that, some "special marathons" that are all about the experience. Last but not least, you can read what other marathoners have said before you,add your opinion about different marathons - in the visitor reviews you find at the bottom of this page. In the articles that will be posted here you can see information, description on the course - what the marathon is about in terms of the experience, the pros and cons to make it an easier decision in what marathon to choose. There are several great runs out there, one of them being the Ottawa marathon which you can check out through the link. PS : for reviews on New York Marathon,Boston Marathon, London and Chicago, see their individual articles to have them placed there. Do you have a story about how you prepared for and ran a particular marathon? We would love to hear your opinion..
How did you prepare for the day, what training did/training regime to prepare and how did you finish ? Tips on travel and accomodation ? Did you like the course, anything to be aware of ? Ps : see right below the form to read what others have said before you. Copenhagen Marathon - Welcome to the Danish capital for a fantastic marathon experience ! Oslo Marathon - Running the Oslo Marathon through a beautiful scenery in late September yearly. Seattle Marathon - In November each year. Rome Marathon - The scenic Rome Marathon has it all. Great course, perfect marathon temperature and a special atomosphere. Amsterdam Marathon - You cannot find a more flat marathon course than the Amsterdam one. This one is built for personal bests.